Item shown above : Actual items as shown. 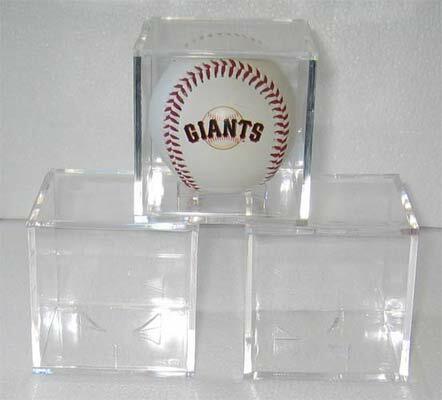 Clear acrylic baseball cube to protect and store your precious autographed baseball. Holder on the bottom to secure ball from rolling. These are the same cubes used by professional collectors to protect balls in thousand of dollars in value. These cubes has 99% Ultra Violet (UV) light protection to prevent autograph from fading. The UV protection feature also prevents the baseball turning yellow as a result of exposure to UV light that exist in the natural environment. The UV inside the house is very low less than 0.3%, so the 99% UV protection is no different than the 100% protection.